Kids with Down syndrome tend to have a number of health issues that are related or indirectly caused by the extra copy of the 21st chromosome. 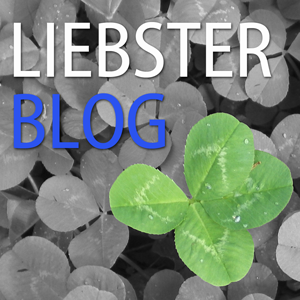 Thankfully Treyton has been spared most of those issues however; as I write this post I am sitting in a very comfortable reclining chair next to a wall of bubbles in the waiting room at the children’s hospital. The fact that I was able to get this chair is a sign of my experience; this is not my first time here. Yet, the reason we are here is not related to Trisomy 21 but is more likely related to ADHD that is common to kids with Down syndrome and given whom Treyton’s parents are, almost a guarantee for him. Treyton is here to have a skin graft done on his hand. 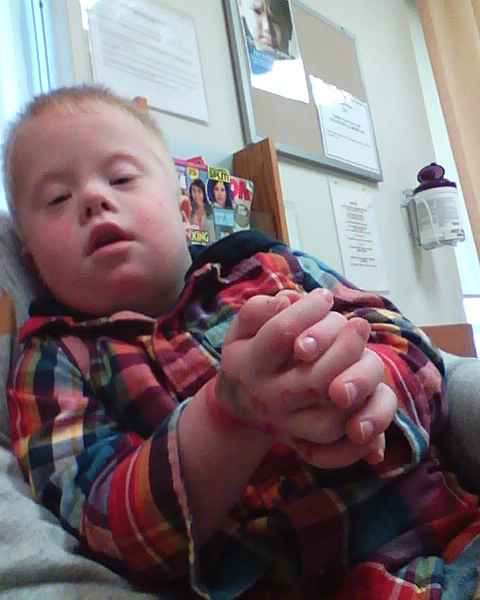 Treyton was careful about how he held his hands at the urgent care doctor. 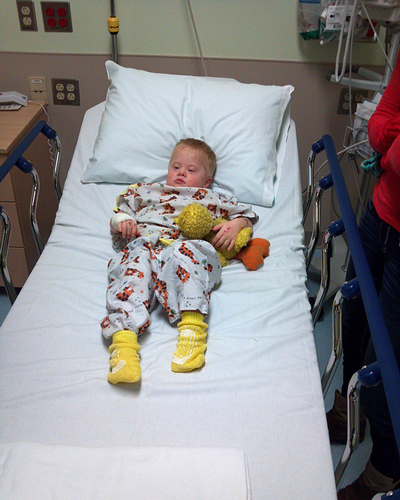 Today’s hospital visit is the result of Treyton’s mischief of a week ago Saturday. Have you ever seen the TV game show called Wipeout? That is a favorite show for my family but Treyton has taken it a step further and created his own personal version of the show. I don’t really think he has made the connection but it does look like he did. As I have said before, Treyton is a creative thinker and will find unique ways to entertain himself. The perfect example is what he does to keep busy when his mom runs on the treadmill. Trey will randomly throw balls at Leigh Ann to make her jump as she runs on the treadmill. I would never tolerate this because if I am running you had better not bother me. Not Leigh Ann, she is a better runner than most people and she is very patient with things like this. On this particular morning I was in the garage working on a Christmas present I am making for Treyton and enjoying the peace and quiet. After doing some cleaning Leigh Ann decided to go for a run on the treadmill and Treyton followed closely behind as she went downstairs. Soon after his mom began to run, Treyton started with his personal obstacle course. As he was engaged in his typical shenanigans one of the balls got hung up on the back of the treadmill. This particular ball is made of very pliable silicone type material with a knobby texture. As Treyton reached for the ball he put just enough pressure on the ball for the treadmill belt to grab hold of the ball pulling it and Treyton’s hand into the machine. Trey yelled when this happened so Leigh Ann quickly looked to see what the issue was. I am sure that Leigh Ann was full of panic inside but she acted quickly and pulled his hand free. Later, as she thought about those first few moments, Leigh Ann said she wasn’t sure what she was going to see when she pulled out his precious little hand. She told me later that his hand looked better to her than she expected but that is relative; she thought his fingers may have been mangled so when everything was intact it was a relief. 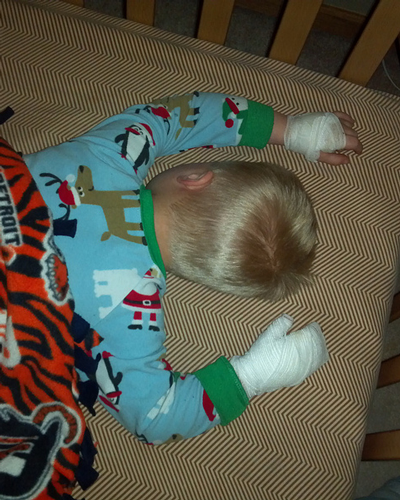 Treyton finally falls asleep with his newly bandaged hands. I had no idea that this was going on until the door leading into the garage opened and I heard Leigh Ann say, “Rob, can you come here? We had an accident.” Now I was wondering what I was going to see. Both Treyton and Leigh were calm but Trey’s hand did not look good. I took him from Leigh Ann and carried him over to our neighbor who is also Treyton’s pediatrician. She took one look at the hand and sent me to the urgent care center. As Trey and I drove to the urgent care center I couldn’t help but think how having a son with Down syndrome is not so different. When your child had Down syndrome you never know what to expect during a visit to the doctor. Treyton is not the issue, I know he will do well; the issue comes from the doctors and nurses – how will they treat him? We got into the triage room right away but had to wait about 10 minutes in there until a nurse arrived. After the initial questions the nurse worked at getting Trey’s vital signs. When the nurse noticed that he was starting to resist a little she began to sing to him. That was a good sign. As we moved from the triage room to a treatment room I had to carry Treyton because we left the house without putting shoes on him. Once in the room the nurse left for a moment and returned with a cart that contained a DVD player and some movies. She informed me that there were some critical cases ahead of us she could not bump us ahead of anyone. I appreciate how the nurse communicated this to us. She first recognized that Treyton’s hand was a “big deal” and that she understood our sense of urgency but that the two people ahead of us had potentially life-threatening issues. Treyton and I settled in to watch some movies. Treyton and Big Bird are ready to go into surgery together for a second time. After about an hour we were taken to another room for x-rays. Although he did not want to have anything to do with anything involving his hand, Treyton did a great job of following my instructions when it mattered. Once we were back in the room the doctor came in to examine Treyton’s burn followed shortly after by the nurse. She washed and wrapped both of his hands. Finally, after being there for about 2 hours we were able to head home where his mom had Treyton’s favorite food waiting for him – McDonald’s chicken nuggets and fries. Treyton has done well with his injuries. He has had some significant pain but he doesn’t cry about it. He tolerates the daily care required where we have to wash the wounds and change the bandages. After two days of trying, Leigh Ann was able to get through to the burn clinic and get an appointment. On Wednesday we learned that Treyton needed a skin graft which was scheduled for today. It has been fun to watch Trey adapt to having injured hands. I have watched him think about how he was going to carry multiple items and then decide to use his teeth for one of them. He has learned to stand up in the middle of the room without using his hands. I have also seen him kiss his own hand on occasion to make it feel better. That is always his second choice; he would prefer to have one of his stuffed toys kiss it for him. Treyton has shown the doctors, nurses, his parents, and anyone that has seen him what it means to accept hardship with grace.